There is nothing more pleasing to see the look on people’s faces when they catch sight of a spectacular edible masterpiece for the first time. 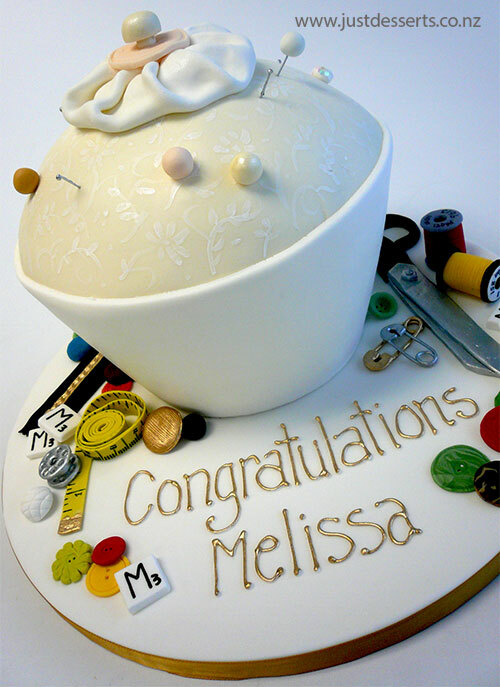 If you want to make a real impact or a special statement, then a custom designed or sculptured cake from the talented team at Just Desserts is the only way to go. There is no limit to what Just Desserts can create when it comes to cupcakes, cakes and desserts for any type of special occasion. Weddings, birthdays, christenings, children’s parties, office celebrations, corporate events, baby showers, anniversaries, graduations, engagements and Christmas parties, are all great excuses to enjoy desserts and cakes created by Just Desserts. Keep in mind with your creation, that the cost of a cake is in direct proportion to the amount of time spent on decoration. Bespoke sculptured cakes take more time and require more ingredients – and create more wastage, so that is reflected in the cost. Tell us about your event or celebration, the theme, how many you are catering for, your favourite flavours… and we will create a cake or dessert that will have your guests coming back for more.